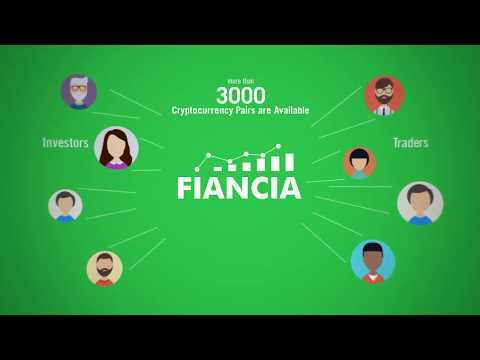 Fiancia is a UK based limited liability financial technology startup with the goal to launch copy trading platform for cryptocurrency and TV channel dedicated to crypto technology. Cryptocurrencies are getting worldwide popularity and millions of investors all over the world want to engage in the trading of these currencies. Fiancia is offering a fitting solution to all those people with its copy trading platform. Professional and part-time traders will be able to develop a trading plan on this platform. Other investors will be able to subscribe traders to replicate trader’s trades in their account. The execution of trades will be in real time. In this way, nonprofessional investors will be able to make a profit with the help of professional traders. All traders will be ranked according to their past performance to ensure transparency. Fiancia is also launching a TV channel dedicated to crypto technology to complement the deal. The content of this TV channel will cover every aspect of cryptocurrencies to give maximum value o its users with the help of professional traders, programmers, economy experts and technology geeks. Traders and investors would be able to tune to this channel at any time of the day to get the updates. One more ICO project add in scam list. Fiancia Coin team banned telegram users founder deleted his linkedin account and not replying for investors, users, group members. which is really bad and sad for the community. One of the big scam, telegram account deleted, founder deleted his linkedin account. No one is available to answer investor’s questions. Big red flag to this ico. Development of system architecture and testing. Listing of cryptocurrency pairs. Setting up requirements of TV channel and legal process in Dubai. Development of user friendly mobile apps iOS and Android. FIN token main sale start. FIN token listing in exchange. RM, KYC, Client Portfolio social network featured modules integration and setup. Connection and recognition of Visa/Master Card with platform. Integration and testing of payment and withdrawal methods. Beta version of the platform release. Roadmap for partnerships and new opportunities for value of FIN tokens. Worldwide recognition.